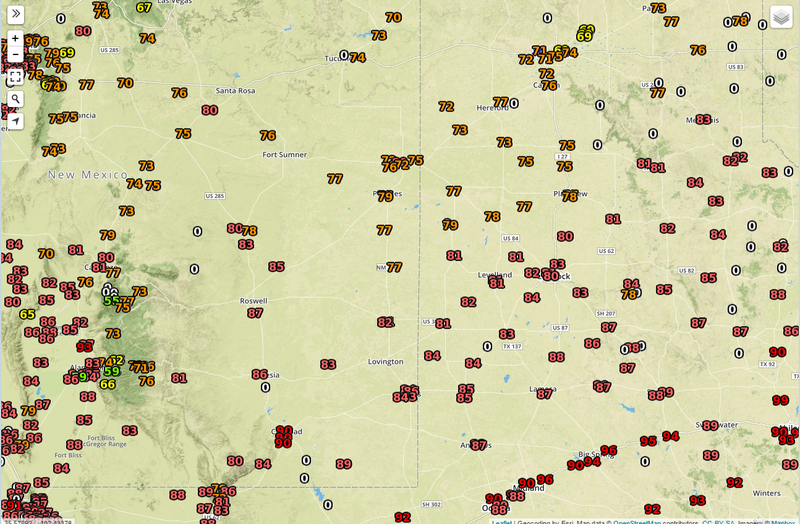 Temperatures @ 4 PM MDT Sunday. Once again I recorded a high temp of 90°F here at our home in Carlsbad, NM yesterday afternoon. 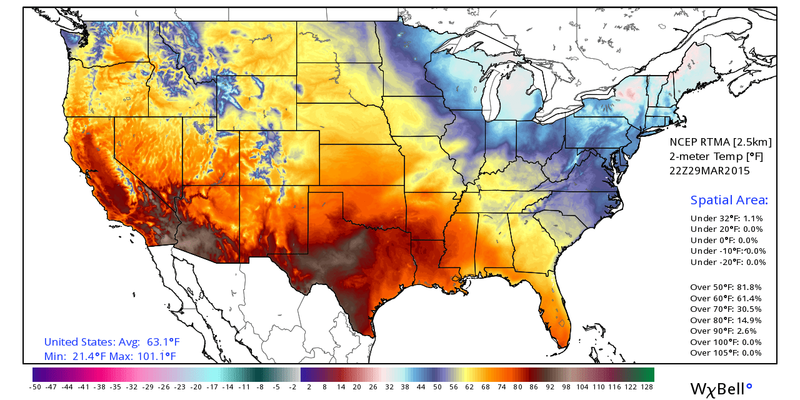 The nations high temp again was recorded in Death Valley with 102°F. 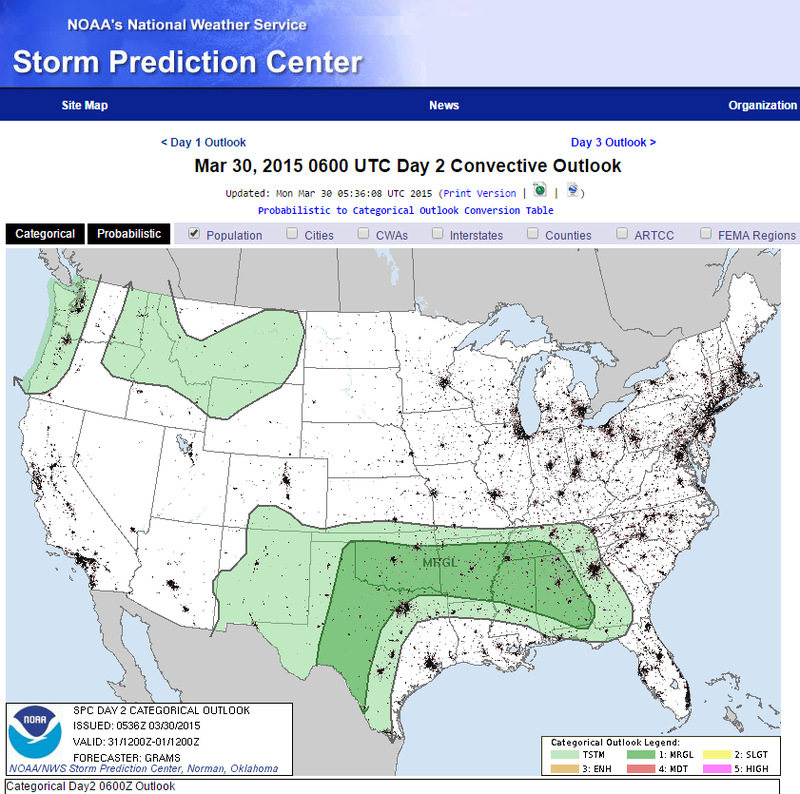 (SPC Day 1 & 2 Severe Weather Outlooks). 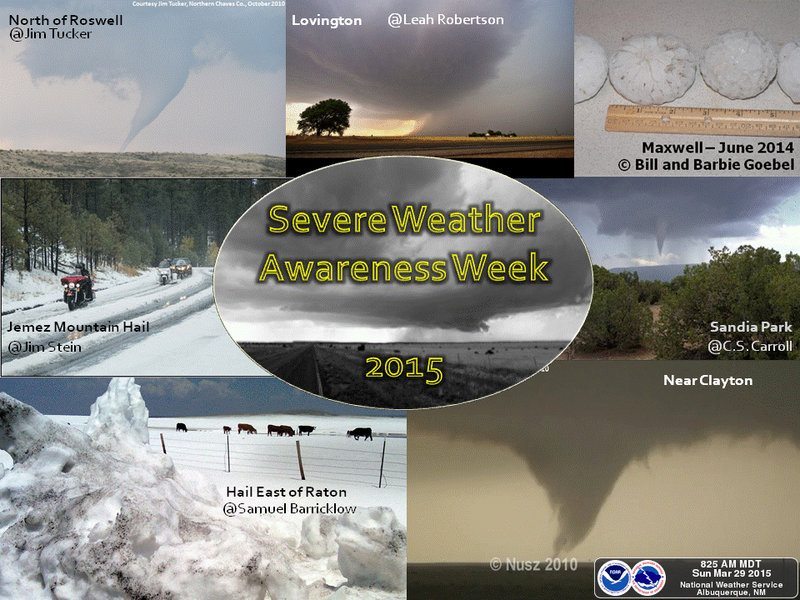 NWS Albuquerque Severe Weather Awareness Week In NM. (March 29 - April 4, 2015). Today's Topic: New Mexico Hazards. A weak cold front entered the local area yesterday afternoon and evening. 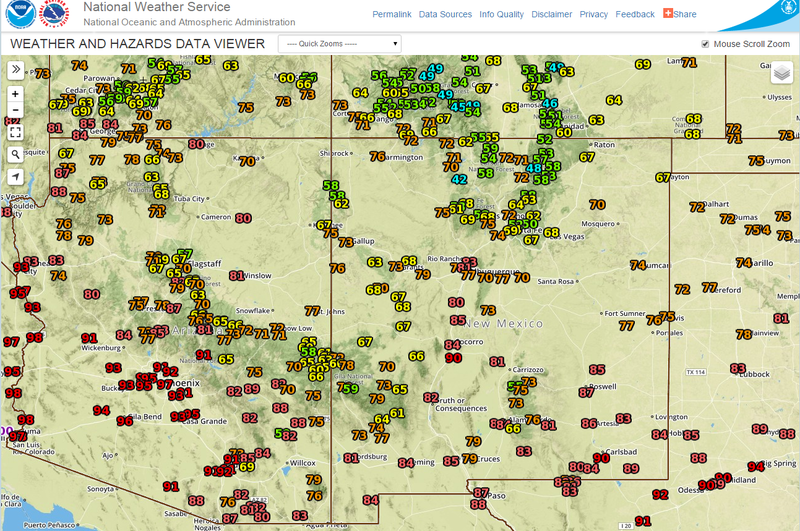 Today's afternoon highs will be about 10-degrees cooler than yesterday's readings with most of us seeing the upper 70's to near 80 here in southeastern New Mexico. Tomorrows highs will be in the mid 80's. Low level upslope flow out of the southeast from the Gulf of Mexico will increase surface moisture values across the area tonight into tomorrow. Combine this with an upper level low located over the Baja Region that will be ejecting short waves northeastward and into the area tomorrow, then we should see isolated to a few scattered thunderstorms pop up. 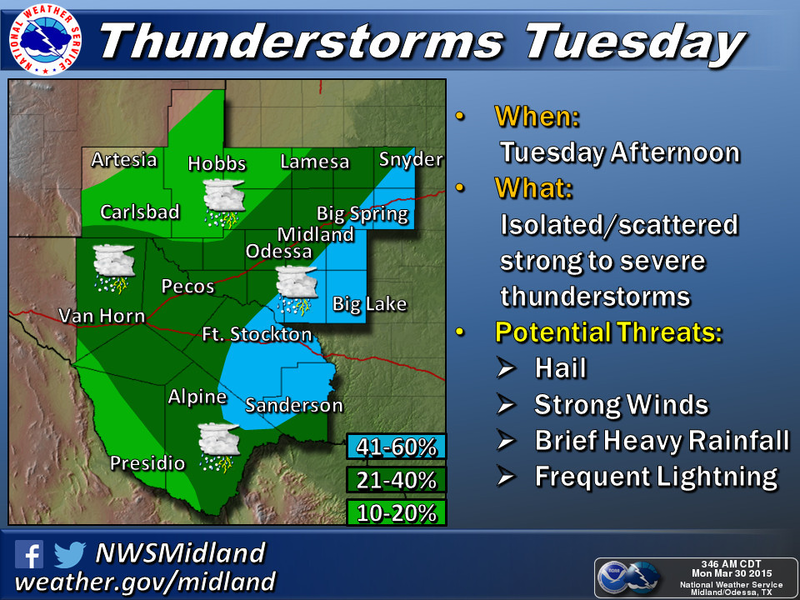 A few isolated storms may fire over the mountains this afternoon but the main show will be Tuesday. Some of these storms may become marginally severe and produce hail, strong winds, and dangerous cloud to ground lightning strikes. 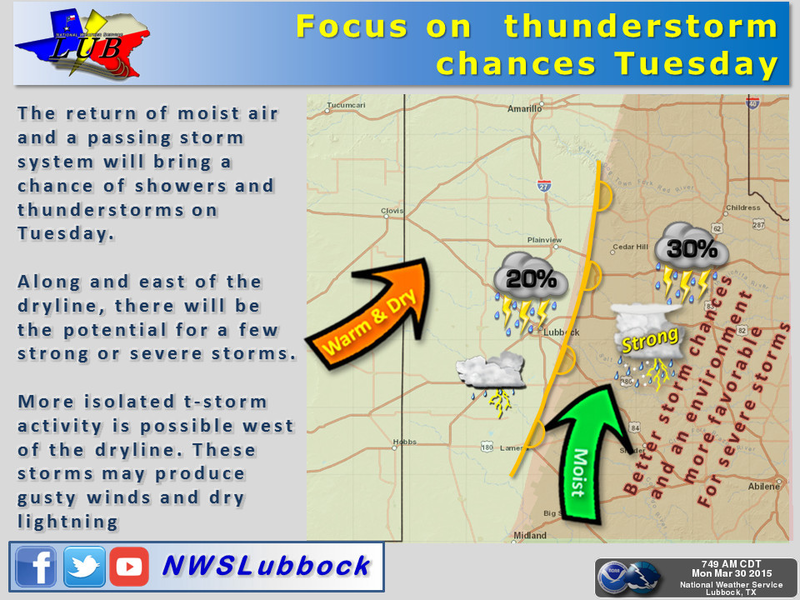 The best chances for severe weather appear at this time to be across West Texas.